This is Ridley Scott’s return to the Alien universe. The movie is kind of a prequel to the existing Alien movies. Apparently, the well known xenomorph does not return in this movie. Instead, this movie is about the species that controlled the derelict spaceship in the original Alien movie (1979). The species is called “engineers” (also known as “space jockeys”). Generally, the cast is strong. Elizabeth Shaw (Noomi Rapace) is good as the new heroine. David (Michael Fassbender) is also very good as the new android. However, the movie contains too many characters for my liking (some of the supporting roles do not get much screen time). I also think that the relationship between Meredith Vickers (Charlize Theron) and Janek (Idris Elba) would benefit from further exploration. Many aspects of the movie are left untold (some would call it plot holes). I think the movie deserves a longer cut (this is a general problem in later Ridley Scott movies). Normally, I am a huge Ridley Scott fan, but I must admit that the flow of his later movies has not been so good (the original version of Kingdom Of Heaven was a disaster. The longer cut of the movie was much better). Prometheus really suffers from bad pacing. The visuals are great. (the Promethus spaceship and the landscape shots looks cool). However, it is difficult to believe that the movie really is supposed to take place before the first Alien movie (the crew’s hardware is much more high-tech than the space trucker equipment on the Nostromo in the first Alien movie). George Lucas’ Star Wars prequel trilogy had similar problems. Most of the creature effects are on a high level. The engineers’ bio suits look impressive. However, the other creatures in the movie did not impress me (the original Alien is a much better designed monster). 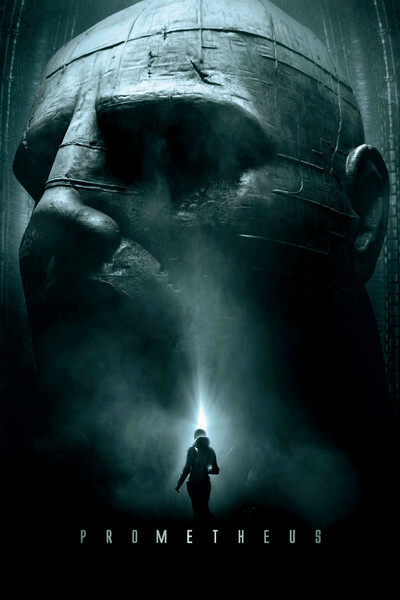 Prometheus does contain both horror and action, but is also about religion and the creation of life. However, I think that both Alien (1979) and Aliens (1986) are better crafted movies than Prometheus. The next movie in the Alien franchise will be Alien Covenant (premiere in May 2017). Alien Covenant will also be directed by Ridley Scott (the trailer looks great). Alien 5 might also be on the way (directed by Neill Blomkamp.) I am still an Alien fan, and I still believe in Ridley Scoot as a filmmaker. But Prometheus is not Ridley Scott’s finest work.